The Centers for Disease Control and Prevention (CDC) issued a Level 1 Travel Alert on January 22, 2019, in response to a measles virus outbreak in the country of Kazakhstan. This Travel Alert, Practice Usual Precautions, says Americans who cannot show that they were vaccinated or are otherwise protected against measles, should get vaccinated before leaving the United States, says the CDC. Previously, 2,341 measles cases were registered in Kazakhstan during 2015–2016. An analysis of this outbreak showed that a large group of infected people were not vaccinated or did not have a reliable report on their vaccination status. Kazakhstan is the world’s 9th largest country located in Central Asia extending from the Caspian Sea in the west to the Altai Mountains at its eastern border with China and Russia. 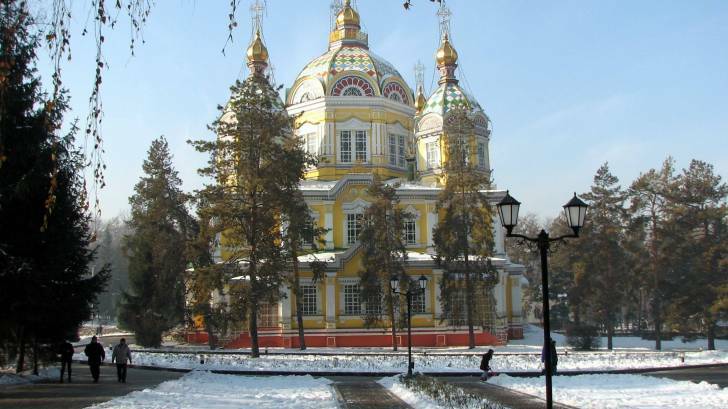 Kazakhstan has a population of 18 million, with Almaty its largest metropolis. One of Kazakhstan’s western neighbors is Ukraine, which has been confronted with a significant measles outbreak during 2018. According to the Center for Public Health of the Ministry of Health of Ukraine, 49,518 people were diagnosed with the measles virus in 2018. Measles is a disease that can lead to serious complications, such as pneumonia, and even death. It is caused by a highly contagious virus that is spread through the air by breathing, coughing, or sneezing. Signs and symptoms of measles include rash, high fever, cough, runny nose, and red, watery eyes. The CDC says to ensure you are up-to-date on several Routine Vaccines before visiting Kazakhstan.